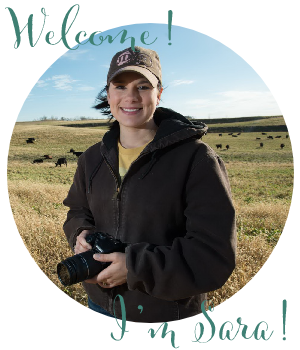 Have you heard of the new addicting website called Pinterest? If you haven’t, you definitely need to check it out, but only if you have a few extra minutes hours every week day to “Pin” items! People use pinboards to plan their weddings, decorate their homes, and share their favorite recipes. You can sit there and look at all the neat ideas and “Pin” them to your boards, but if you’re like me and many others you don’t ever take the time to do do the projects, recipes, etc. 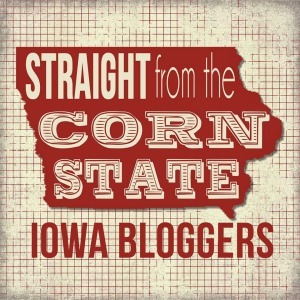 So this is where two of my favorite DIY blogs come in. Katie at Bower Power and Sheri at Young House Love thought up the Pinterest Challenge that they will hold every quarter. Basically they wanted to stop pinning and start doing some of their projects. If you click on the links above, you can see what their projects were this past week. 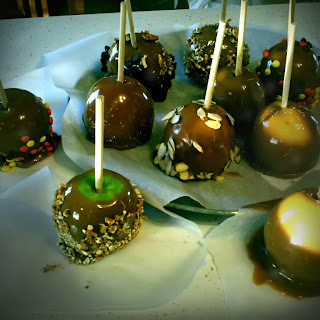 This quarter I decided to participate in the challenge and since it was around Halloween I decided to make The Pioneer Woman’s Caramel Apples that I found here and pinned here. They turned out great and were pretty easy to make, once you got the hang of the caramel and how fast it dries! 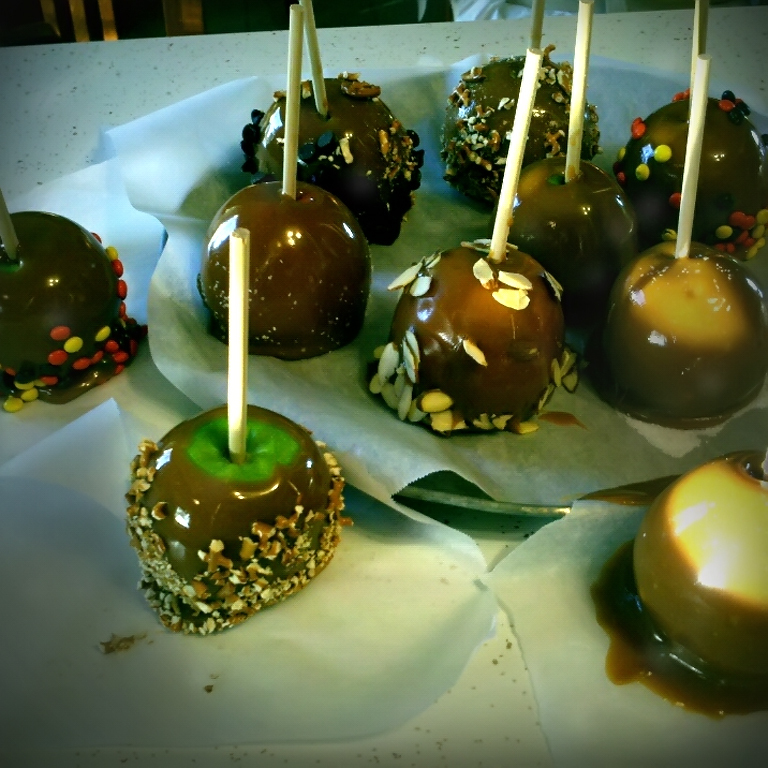 Here is Ree Drummond’s recipe for Caramel Apples from over at The Pioneer Woman. Enjoy! Toppings: Mini M&Ms, Crushed Pretzels, Kosher Salt, Chocolate Chips, Coconut, Crushed Pecans, Crushed Saltines, Etc. 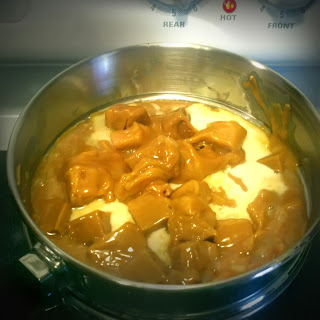 Melt caramel with cream in a double boiler or glass bowl set over a pot of simmering water. Add vanilla and salt and stir until smooth. 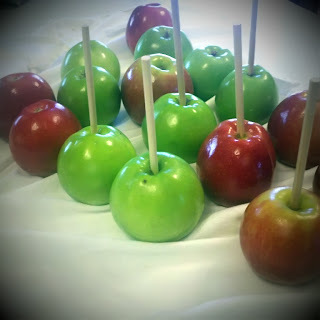 Repeat with all the apples, refrigerating apples as soon as they’re coated. Once cool, wrap apples with cellophane or plastic wrap. So that is my Pinterest Challenge project! 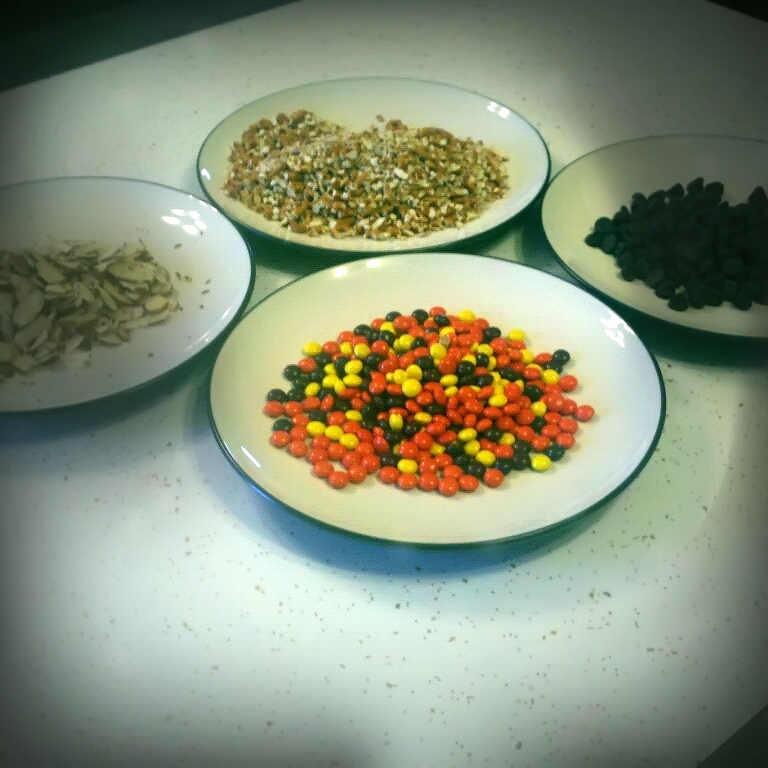 Now, I need to start tackling all the other projects and recipes that I have “Pinned”. I will definitely let you know how they go when I get around to doing them! Did you take part in the Pinterest Challenge? Have you ever heard of Pinterest before? Have you done any fun DIY projects lately? I just caught on to the Pinterest thing but I love it! It really is a cool concept and fun way to see different ideas.